Inscoe will examine the pervasive theme of attachment to land found in Appalachian film. Using films such as The Journey of August King (1997), The Dollmaker (1984), Wild River (1960), and Cold Mountain (2003), he will investigate the representation of Appalachians’ desire to obtain or retain homeplace with attention to racially-inflected variations in white and African-American Appalachians’ relationship to the land. McCarroll asserts that we can best understand Gertie Nevels, as played by Jane Fonda in The Dollmaker (1984), and Ruby Thewes, as played by Renee Zelwegger in Cold Mountain (2001) as unwhite; Gertie’s experiences parallel the Hispanic migrant worker while Ruby is a mammy figure to Ada Monroe. An analysis of these animalistic female characters as they exist outside of white normativity demonstrates the way in which the unwhite Appalachian woman solidifies the whiteness of a broader or disparate region. Satterwhite examines viewers’ reactions to recent horror films set in Appalachia, including the Wrong Turn franchise (2003, 2007, 2009, 2011, 2012), to test her speculation that a small subset of audiences for “backwoods slasher” films identify with the “bad guys” over the city intruders. She notes the progressive and reactionary ideological implications of viewers’ defense of regionalized white masculinity. Anna Creadick will comment. John Inscoe is the Albert B. Saye Professor of History at the University of Georgia. He’s written widely on 19th century Appalachia, and is currently at work on a book to be entitled Appalachia on Film: History, Hollywood, and the Highland South. Meredith McCarroll is the author of Unwhite: Appalachia, Race, and Film (forthcoming from University of Georgia Press), which asserts the racial liminality of the Appalachian figure in Hollywood film, and offers a rereading of Appalachian film through the lens of Critical Race Theory and Whiteness Studies. Her work is situated at the intersection of race and regional studies, with a focus on cinematic representations of this intersection. McCarroll teaches literature and film and directs the Writing Center at Clemson University, where she has just begun a student-led documentary film project on race in Appalachia. Satterwhite is the author of Dear Appalachia: Readers, Identity, and Popular Fiction since 1878 (UP of Kentucky, 2011), which won the Appalachian Studies Association’s 2011 Weatherford Award for best non-fiction as well as the 2013 Sturm Award for Faculty Excellence awarded by Phi Kappa Alpha at Virginia Tech. She has taught Appalachian studies and pop culture at Virginia Tech since 2005. Anna Creadick is Associate Professor of English at Hobart & William Smith Colleges. She received her Ph.D. in English/American Studies at the University of Massachusetts, Amherst; her M.A. in American Studies at Boston College; and her B.S. 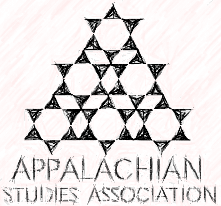 in English and Education, Appalachian State University. She is the author of Perfectly Average: The Pursuit of Normality in Postwar America. Her current research areas include 20th-century U.S. literature and culture, Southern and Appalachian Studies, and Gender and Sexuality.